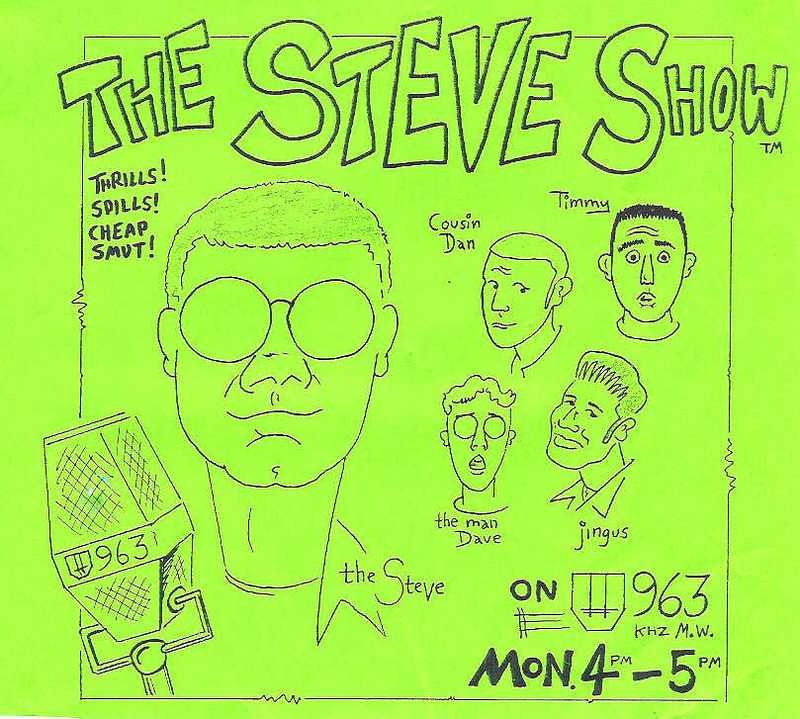 The Steve Show was broadcast on W963, the University of Warwick’s student radio station, between 1995 and 1996. It consisted of stuff all made up by Steve Merchant, James King, Dan Warren, Tim Colman and Dave Greenwood. They played music and made bad jokes. Although there was a potential audience of 500,000, it is commonly believed that no one was listening. This site contains the only known recordings.